Our goal is to connect people with the best local experts. 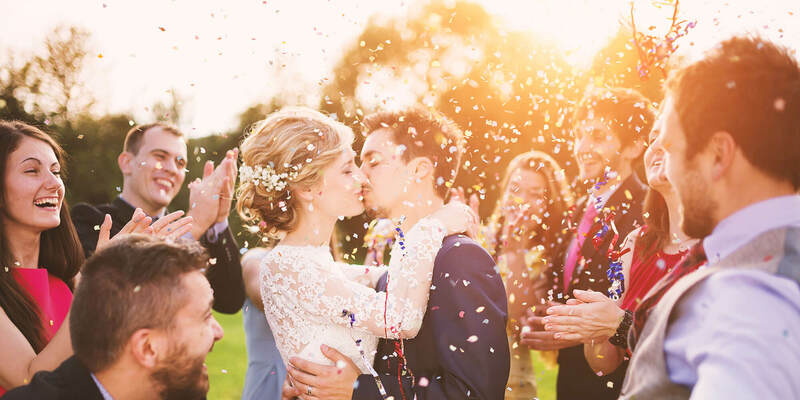 We scored wedding photographers on more than 25 variables across five categories, and analysed the results to give you a hand-picked list of the best wedding photographers in Vacaville, CA. Amber McHugh Photography is a lifestyle, events and wedding photography studio that has been operating for over a decade. Awarded Top Wedding Photographer, Best of People Photographer by The Knot and Sacramento Bride, Amber McHugh is a Preferred Photographer for several businesses in southern California. She works mainly in California's Bay Area, operating in all 50 states and abroad. The studio offers a free phone or in-person consultation so prospective clients can get to know the photographer before committing to a package. Packages offered include a la carte pricing with options for custom online viewing gallery, video, and bound album. Former clients say that Amber has a talent for catching romantic details and a positive attitude on the shoot. Heather Ernest is the gifted photographer behind Ernest Photography in Vacaville, California. She works throughout Napa and Sacramento, specializing in weddings, fashion photography, boudoir sessions, portraits, and more. Heather creates customized photography packages for her clients based on their requests and can accommodate any budget. Potential clients can visit her website to view a portfolio of her work and to request a quote. Heather has earned five-star ratings on Wedding Wire and Facebook. She is highly responsive and receives high marks from clients for turning their photos around quickly. Clients enjoy working with Heather because she is energetic, fun, and easygoing, and many book her over and over to document the milestones of their lives. Jennifer Gordon is a professional wedding photographer. Her passion for photography led her to finally establishing her own business with her name as her business brand. She is proud to provide the best services to her clients. Prices vary depending on the package. For the Elopement Package which includes 4 hours of coverage, USB with high-quality images and print release, the price is $1,200. Clients who want to have longer hours of photo coverage can choose the Simplicity Package for $2,400. The most expensive package being offered is the Luxury Package which is priced at $3,600. The package comes with a complimentary engagement session, 12 hours of wedding photo coverage, custom engraved album, and much more. Jim Saiers Photography specializes in providing discerning clients with the highest quality photographic services available. The talented Vacaville-area photographer focuses on carefully crafting distinctive portraits featuring families, babies, children, high school seniors, and weddings. Clients trust the dedicated professional with nearly 40 years of experience to capture precious memories to treasure for generations. Jim Saiers Photography offers a range of services with indoor and outdoor options that meet a variety of client needs, photographic goals, and budgets. The technically and creatively gifted professional commits to delivering one-of-a-kind works of art that consistently exceed expectations. Jim Saiers Photography has an excellent reputation for making clients feel comfortable in front of the camera for the most authentic and enjoyable experience. Oscar Campos is a professional portrait and wedding photographer in Vacaville, California. He began his business, Oscar Campos Photography, in 2013. Oscar's specialties are family portraits, senior portraits, and wedding photography. He also covers other events such as quinceaneras and offers first birthday/cake smash sessions and teen fashion shoots. For weddings, Oscar offers a package consisting of a one-hour engagement photo shoot with an online gallery, up to eight hours of wedding day coverage, a gallery of high-definition edited images, and a large print of the client's choice. Oscar is passionate about photography and has a natural style that clients love. His clients appreciate him for being professional, considerate, and accommodating. Photography By Alex provides Winters, CA with professional photography services that include portraits, family, weddings, maternity, children, headshots, boudoir sessions, and pin-ups. They take pride in sincerely caring about the special moments that each client will cherish for the rest of their lives.Photography by Alex employs a photojournalistic style that captures each important and beautiful moment with a unique artistic eye. Clients have recommended Photography By Alex, frequently praising their willingness to capture each vital shot by any means necessary, as well as their personable and friendly nature. Each wedding photography package includes one photographer and assistant, and many packages include a second photographer. Photography Is Love is based in Vacaville, California and offers wedding, engagement, maternity, portraiture, and special event photography. Events can include baby showers, parties, reunions, and proms. Wedding packages include full publishing rights with no watermarks and portrait sessions come with unlimited poses. All packages include a high-resolution flash drive with edited images. Photographer Kelly Murray provides recommendations for videography and baking vendors for client convenience. A travel fee applies for shoots outside the Vacaville area. Murray is described by clients as highly communicative, creative, personable, and talented. Potential clients are encouraged to contact her for a free consultation.